Parents of Lego lovers, are you ready for the biggest and best Lego round-up you’ve ever encountered? 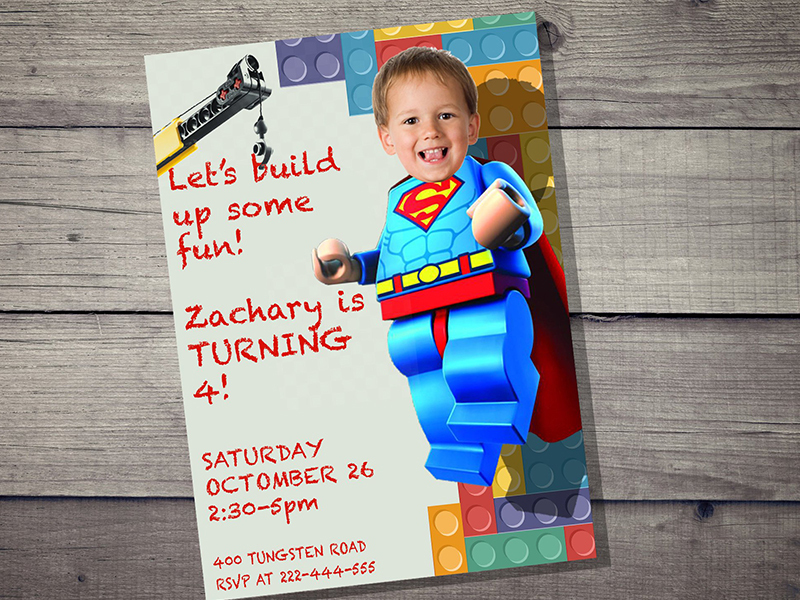 Step on up, we’re about to show you how to throw the biggest and best Lego party ever. We’ve got invitations, decorations, sweets, treats, games and cakes galore! Welcome to our Lego-rific round up of all things brick. These cute invites can be customised with your child’s face which is sure to have them even more excited about their impending birthday fun! Invites by RollickDesign on Etsy.